Quadpack's Fragrance Division has developed a number of eye-catching cap concepts that will make any fragrance bottle stand proudly apart from its peers. The designs have been created to complement the exclusive Q-Line Sylvie de France range launched last year, but can also be used to embellish other bottle formats. When it comes to skincare, some areas on the face need more tender loving care than others. 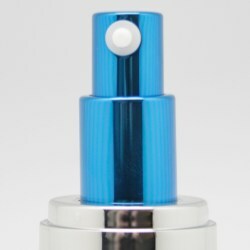 The Cooling Roller Tube gives these areas the attention they deserve, combining product application, accurate dosing and massage, while delivering a cooling sensation to soothe the skin. There's something magical about mist when it's used for cosmetics. And the more complex the formula, the more important it becomes to use the right dispenser. 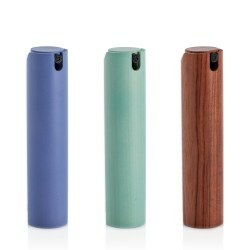 The Wooden Purse Spray has evolved. Drawing inspiration from new trends in architecture, interior decoration, art and fashion, an exciting new shape has been created that will surprise and inspire all who set eyes on it. Real ingredients present a new challenge to packaging. The used must be able to dispense the formula without the risk of blocking or disintegrating the elements contained. That's why Quadpack's Skincare Division is introducing a new solution that perfectly supports this new trend: the natural ingredient pump. One glance at these stunning bottles is enough to know you're looking at a Sylvie de France exclusive. 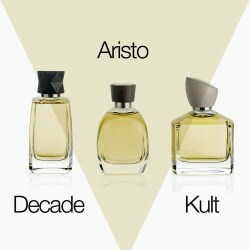 Quadpack's Fragrance Division is proud to unveil its exclusive Q-Line bottles designed by the renowned French packaging artist. Three unique shapes that capture the elegance and sophistication of 'Haute Perfumerie' and each one offers graceful contours that help enhance a brand's image. Impeccably groomed eyebrows are the focal point of today's make-up look. Achieving it requires the right products, packaged in a way that enables you to apply it correctly. Quadpack's product range has expanded to help you do just that. The latest addition is the Comb Pen, designed for easy and controlled application of brow treatment and colour. Quadpack Group's new Maxi Jumbo is one packaging solution that helps accomplish a picture-perfect look in minutes. 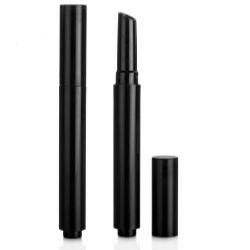 An evolution of the panstick, Maxi Jumbo has cup size 18 for larger-volume make-up. 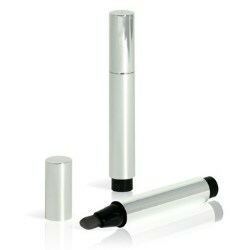 It is designed to enable quick, consistent coverage all over the facial area. This is a facestick ideal for foundation, blush and highlighter, but its use can extend to skin care, sun care and even solid perfume. 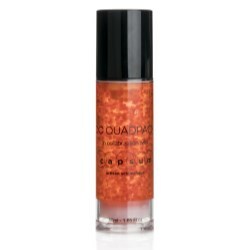 The Liquid Foundation range from Quadpack has expanded. The popular Q-Line family now has a new member specifically designed for blush. Its 15ml capacity is just right for liquid face products such as blusher and highlighter, while perfectly complementing the rest of the 30ml range. With this new addition, brands can launch a great-looking collection of liquid foundations that's elegant and consistent across the board. 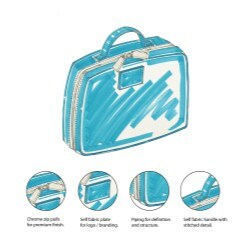 Travel kits have long been a practical way to carry personal care essentials on journeys, holidays or just to the gym. 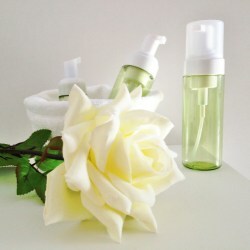 Now, the concept is evolving beyond the vanity bag containing a miniature shower gel, shampoo and conditioner. Brands are launching more focused kits aimed at particular targets or applications, such as men's skin care, sun care and hair care. 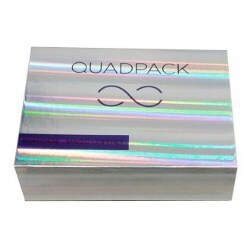 Quadpack Group presents its own proposal: a Premium Pamper Pack for high-end beauty routines. Pansticks are perfect for make-up, local applications, face care, sun care and even solid perfumes. 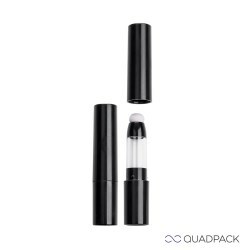 Quadpack's new Double Panstick provides an additional advantage that puts it squarely in line with the 'beauty on the go' trend. 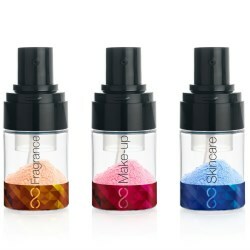 This neat portable pack enables consumers to carry their beauty essentials around anywhere they go. 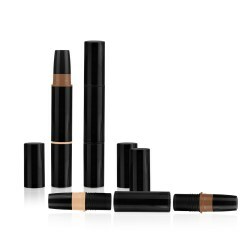 A cylindrical stick that's perfect for touch-ups throughout the day. The headline-making Metal-Sleeved Dropper – part of the Q-Line range – has been singled out for the luxury treatment by Quadpack's Secondary Packaging team. The bespoke handmade box is covered with pearl effect PU leather and has a matt satin lining decorated with logo. 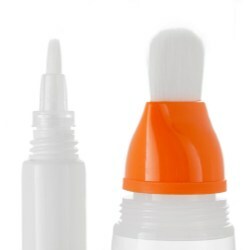 The bottle is held in place using a flocked thermo tray, and the closure has a hidden magnet. It is just one example of what can be created to complement a primary package in the most attractive way. 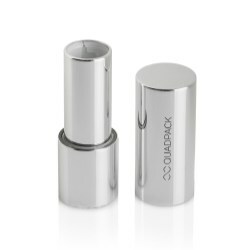 When it comes to engineering, functionality is king and Quadpack Group's new silicone-free lipstick mechanism improves on standard designs, requiring no lubricant and delivering exceptional performance. A line extension of Quadpack's range, this new design is aimed at brands looking for a high-end solution at the premium end of the market. Using a dropper is effortless with Quadpack's new addition to its range. Easy Dropper offers a new gesture that makes it straightforward and fun to use. 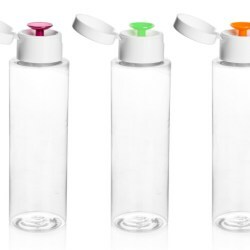 With a 30ml blown glass bottle and a host of decoration options, this new solution will support any brand looking for a premium, highly-functional dropper with a difference. Mist dispensers are all the rage at the moment. 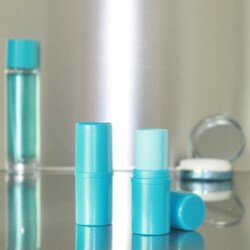 Applications are many and varied, including refreshing facial mists, make-up fixers, facial toners and a host of hair care uses such as hair spray and ocean mist with UV protection. Now, Quadpack Group unveils its own contribution to the category that offers distinct advantages over the current batch of fine mist sprayers on the market: the Yonwoo Airless Spray Tube. Quadpack's new Dual-Ended Stick ticks all the boxes. It offers a two-in-one make-up solution, it's portable, refillable, customisable and perfect for the current trend of face contouring. 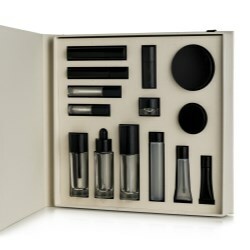 Imagine your beauty product in a luxury presentation box. It could look something like this. A beautiful, premium wooden box that positions your product firmly in the realms of high-end aesthetics. Created by Quadpack Group's secondary packaging team, this concept demonstrates one of the many possibilities available to entice the consumer and make them love the brand. Cosmetics companies put much effort into their formulas. Facial treatments have never been more complex or multi-functional. The more advanced the formula, the more important the delivery system to ensure it performs exactly as it was intended. Yonwoo's Auto-Loading Dropper promises exactly that, offering a high-end airless solution for precise dosing control. The Glass Pot is an extension of Quadpack's range of airtight pots. 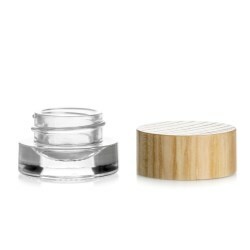 Designed for eye formulas like eyeliner gel or creamy eyeshadow, it is made of glass and wood, two natural materials that transform it from a mere container into something you'll want to keep. What's more, with great compatibility and an airtight closure, its technical specifications offer high formula protection. Quadpack Group presents another first in dispensing technologies. Developed by manufacturing partner Yonwoo, the Presto system comprises a pump which features a unique push button alongside a dispensing hole. 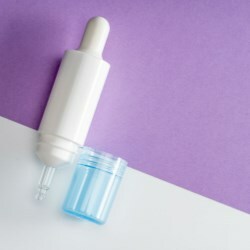 Pressing it down automatically opens the valve, dispensing a controlled dosage onto the disc (up to 1.5cc), where it can be swiped off with a sponge, cotton wool disc or your finger. Now you can create your own well pump! Based on Yonwoo's best-selling pack, the Modular Well Pump allows you to pick and choose the components you need to create the product that's right for you. The popularity of droppers has led to a host of launches using this type of pack. 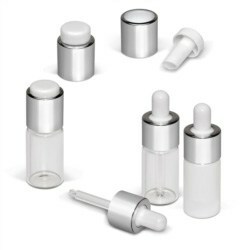 Available in various formats, they offer an ideal delivery system for high-value serums, lotions, oils and even liquid make-up. At the luxury end of the market, however, there is little that is new in terms of aesthetics. Quadpack Group now meets that need with two proposals for premium brands. 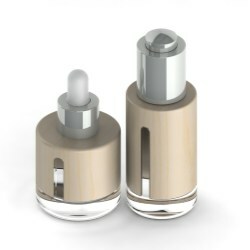 The new wooden Travel Purse Spray from Technotraf Wood Packaging offers an elegant and environmentally-friendly solution for fragrances that is also handbag friendly. 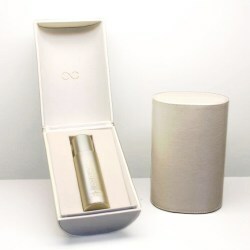 Comprising a standard glass bottle encased within in a beautiful wooden sheath made of sustainably-sourced (PEFC-certified) maple, the packs stand out from all other perfume offerings. 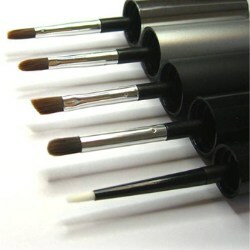 Quadpack's Make-Up Division has extended its range of Q-Line Pansticks with a slimline version. The Slim Panstick is designed with a removable ring that can be colour-matched to the bulk, for easy identification in store displays. Quadpack is once again pushing the envelope of applicator technology with the launch of spatulas and tubes with a pumice stone head. 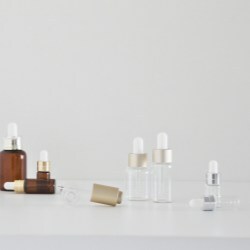 As beauty formulas become increasingly advanced, packaging them is presenting exciting challenges. 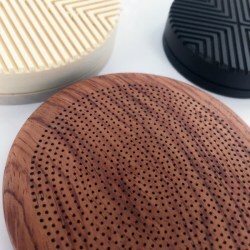 Inspired by the geometric patterns of both modern art and ancient eastern architecture, the wood manufacturer has achieved a way to recreate these designs on wood. Using a number of technologies including fine milling and micro perforation, Technotraf has developed a new kind of decoration called Groove. 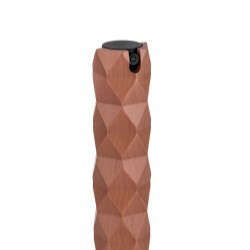 Groove engraves a fully customisable geometric design deep into the top surface, transforming a simple wooden component into a work of art. 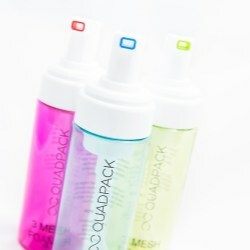 The 3 Mesh Foamer from Quadpack Group uses Apollo's patented technology, designed with different meshes, to produce a greater volume of rich, luxurious foam that spreads easily onto the skin. The foamer has been constructed with three fine meshes. The liquid formula is forced through each of these in order to obtain smaller bubbles. 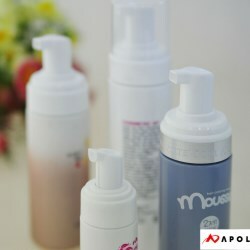 The resulting foam is therefore velvety soft rather than soapy, in addition to being more voluminous. Furthermore, the richness of the foam lasts longer before turning back to liquid. 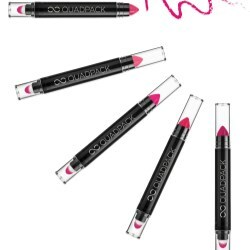 Quadpack's Make-Up Divsion has released a new airtight version of Jumbo Stick, its high-performance pen for lip or eye colour. Part of the growing Q-Line make-up range, the new format is specifically designed for long-lasting formulae, keeping them fresh inside a sealed container that helps prevent them from drying out. 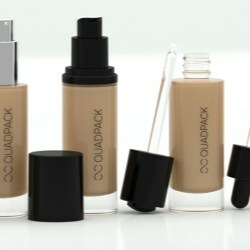 Quadpack's Make-Up Division has launched a line for liquid foundation comprising four elegant packs that are a direct response to modern make-up formulas. The new range shifts foundation packaging beyond airless to include atmospheric pumps and droppers, and is part of Quadpack's Q-Line brand. 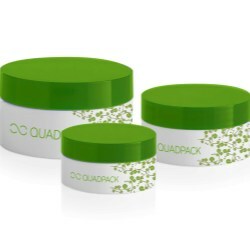 Quadpack's new Eco PP Jar is an attractive proposition for natural, organic and cosmeceutical formulas. Entirely made of polypropylene, from the base to the cap, it is 100% recyclable and offers excellent compatibility. Its competitive price point makes it ideal for house brands and other mass market offerings, though its decoration options can ensure a look suitable for any masstige product. Quadpack Group company, Technotraf Wood Packaging, has broken the mould once again with its new Wooden Compact. A stunning blend of sophistication and environmentally-friendly material, the compact is crafted from wood sourced from sustainable forests certified by the PEFC. 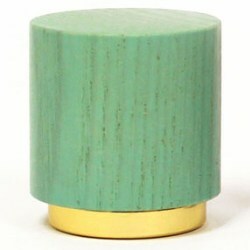 The Wooden Compact is expertly hewn from maple wood for an exceptionally smooth finish. Maple endows feminine elegance to the pack, with its unique texture that appeals to the senses. 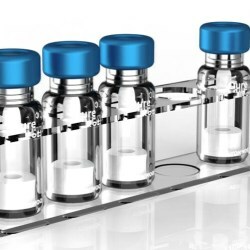 Quadpack's new Auto-Loading Droppers provide a scientific solution for precision dosage – one that engages users and draws them closer to your brand. 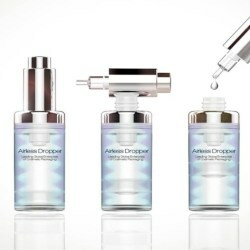 Using the dropper adds to the experience of a beauty product, making each precious drop treasured and appreciated. The mechanism is ingenious yet simple. Twisting the cap open automatically charges the correct dose of 0.5ml. Quadpack has just introduced the first dropper on the market that offers perfect dosage. It's total control from a tube and whilst it sounds too good to be true, the new 15ml Dropper Tube from Yonwoo gives exactly that. 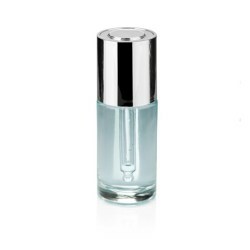 No matter how hard or soft the Dropper Tube is squeezed, it actuates the liquid formula contained within in 0.055ml drops, each and every one the same*, allowing for precise application to a local area. 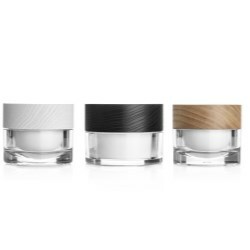 OTC/cosmeceutical brands looking for a more cosmetic look for their face creams may find the answer in Quadpack's new 50ml Acrylic Jar. The latest member of the Q-Line range, it offers minimalistic elegance, an attractive price/performance ratio and excellent product compatibility. What's more, the 50ml jar is complemented by a 5ml mini size, allowing for travel packs or sample packs to warm up product launches. The lasting appeal of Yonwoo's Well Pump has turned it into a Quadpack best-seller. Combine it with a hot trend and it becomes a sure winner. Quadpack has now introduced the Slim Well Pump, a stylish pack with a slender silhouette. 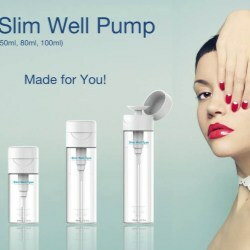 Echoing the enduring slimline trend, the Slim Well Pump is hygienic and fun to use. A flip-top cap allows one-handed use. 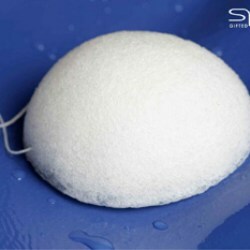 Once open, press a cotton wool pad onto a disc actuator, to release a perfect dose of the liquid. 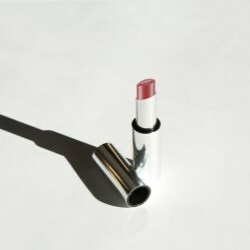 Part of Quadpack's own Q-Line collection, the Magnetic Lipstick has been designed for the contemporary consumer. Its sleek, minimalist form denotes prestige, while its heavy weight will make it stand out and easy to find in large designer handbags and make-up purses. Extra weight can be added to both the body and cap for even greater tangibility. 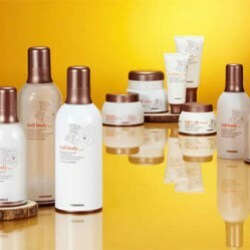 Quadpack has launched its first range of packs focused on body products: the 'Body Care Collection'. Applying its recognized expertise in skin care, this elegant compilation of packaging concepts offers all the sophistication and style of a high-end cosmetics range. 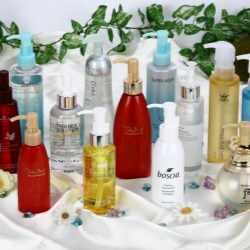 The Body Care Collection comprises packaging solutions for the nine most popular treatments, from body lotion to hair oil. Each pack features component parts carefully selected from the most suitable manufacturers according to functionality, compatibility and aesthetics. 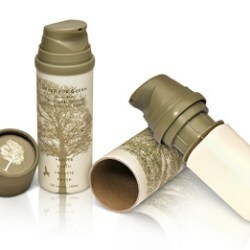 The benefits of airless technology are now available in a playful yet elegant pack. 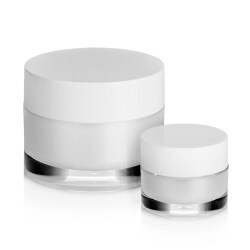 New from Yonwoo is this colourful 50ml container, perfect for skin care brands targeting a young, vibrant audience. With a neck ring available in any Pantone colour, the Airless Point Neck can be used for a range of colour-coded products or simply match a brand's signature colour. Brands preparing their offering for next year will be interested in the gorgeous Spring Colours from Technotraf. Five fresh new shades have been created to reflect the season's trends, for a beautifully bright finish on any of Technotraf's wooden components. Whether applied to caps, compacts or containers, these Spring Colours are sure to brighten up any pack for a look that's fresh, vibrant and natural. Quadpack Group presents a packaging concept that brings together all the elements required to create a sumptuous, premium skin care programme aimed squarely at the prestige end of the market. The 2 week programme concept is based around Yonwoo's Mini Airless Syringe housed with 14 mini acrylic jars and an exclusive zamak spatula, inside a luxury coffret. Today's young women lead busy lives and need cosmetics that are quick and easy to use, fitting into their busy lifestyle. 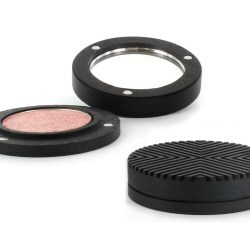 Quadpack's 10g Blush Pot offers a playful concept that's totally on trend: Designed for direct application to both cheeks and lips. Use the product straight from the pack - just dab it on and then blend it out - quick, easy and the perfect size to slip into a handbag. 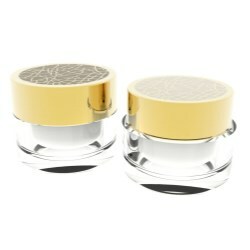 Show PP is Yonwoo's latest airless container, designed for optimal formula protection. 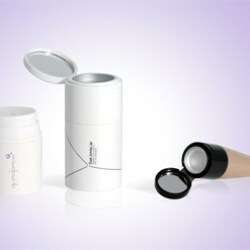 Ideal for advanced cosmetics and cosmeceutical products, Show PP combines excellent compatibility with airless technology, for powerful protection on multiple levels and is available exclusively from Quadpack. 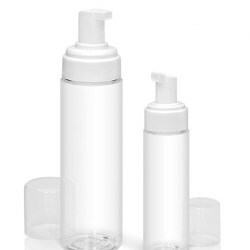 Cool glass, a clean silhouette and the perfect dimensions for body care products. Ice is the latest addition to Quadpack's glass catalog, offering an elegant, minimalist base, ready to be decorated. 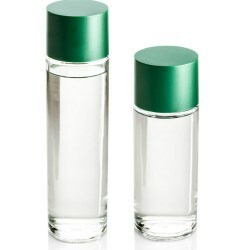 Available in 100 and 150ml, Ice has a cylindrical shape with a screw-top neck, especially adapted for fluid formulas like tonics, cleansing waters and skin care lotions. 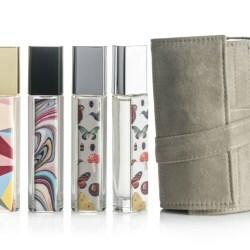 Iris, Lily, Orchid and Bouquet are the floral-themed bottles of Quadpack's new glass perfumery range. 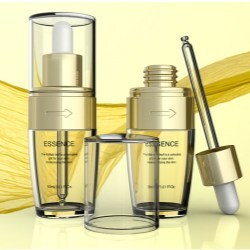 Inspired by the aromatic beauty of flowers, this efflorescent line offers a range of shapes, sizes and options to create an elegant and unique fragrance pack. 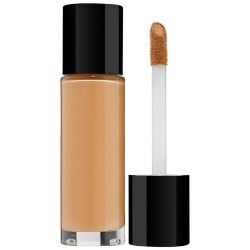 From sunscreens to liquid foundations, tottles are the ideal solution for fluid formulas. Their flexible walls and upside-down actuators enable easy dispensing. The choice on the market, however, is limited to either low-cost, low-quality tottles or expensive, high-end options. True to its mission, Quadpack has taken a trending product and improved on its design. 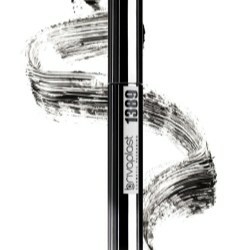 The new Jumbo stick enables beauty brands to launch a high-performance pen for lip or eye colour. 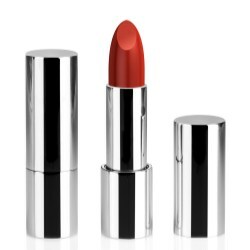 Co-developed with lipstick specialist Brivaplast, this exceptional product introduces two important technical enhancements. 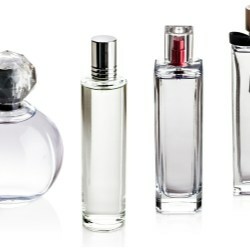 Fragrances should make the consumer feel special and its packaging should reflect that. Quadpack's new Double Roll-On turns a daily ritual into a sensual experience. 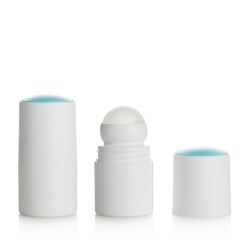 With a choice of two scents and an ultra-smooth roll-on applicator, it is a small treasure that fits perfectly in handbags. 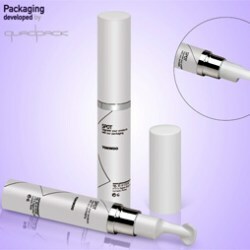 New from Yonwoo is Qure, the ideal solution for packaging cosmeceutical treatments. 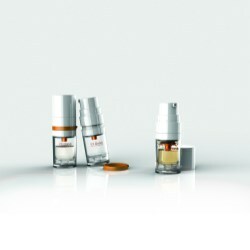 The airless pack enhances efficacy claims with its clinical design. 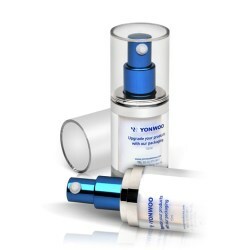 Yonwoo's airless technology preserves and protects the formula from external contamination. Qure is perfect for treatments that come in programmes, such as anti-ageing or lifting serums, wrinkle fillers and skin correctors. It is a symphony of strength and feminine beauty. Dahlia is the newest addition to the Quadpack AirGlass family. 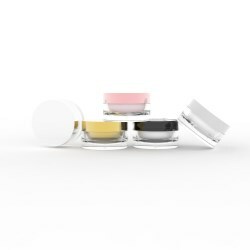 This exciting range features an outer glass container, adorned by anodised aluminium accessories, surrounding a protective core of Yonwoo airless technology. Mountains, forests, rivers and native heritage – this is the scenery that has inspired Montana, Quadpack’s new premium collection that adds a touch of wood to a skin care range. 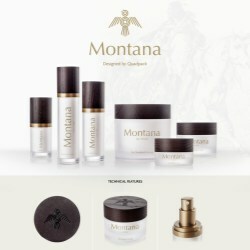 Comprising a selection of acrylic jars and airless packs with wooden caps, Montana evokes natural landscapes with wide open spaces. 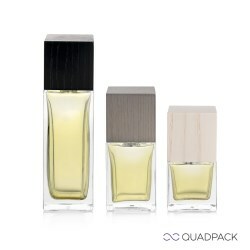 Quadpack has issued a limited edition perfume named 'Wood', in celebration of its 10th anniversary. 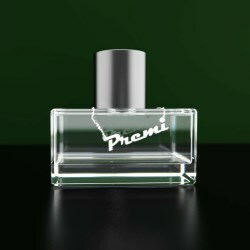 The fragrance is beautifully packaged, uniting the finest components the group has to offer: Premi's elegant Hollywood bottle, a gold anodised spray pump and a tapered beech cap from Technotraf, all held in a sheer organza pouch. The bottle is decorated with a design inspired by nature. 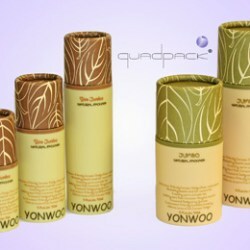 Responding to popular demand for twin chamber packs, Quadpack is pleased to introduce the Yonwoo Twist and Mix. A variation on the Twin Mix Airless, Twist and Mix is easy to use, engaging consumers by empowering them to activate the formula as and when desired. Increasing demand for formula protection has led Yonwoo to expand its popular Shut-Off series. The Shut-Off nozzle offers the ultimate in airless technology, preventing air re-entry and bulk exit through the pump actuator of a container. The extended range now features the complete Jumbo range. 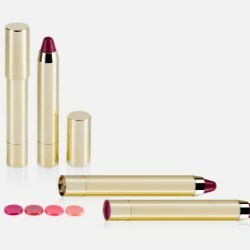 Tube technology is leaping ahead in the beauty market. 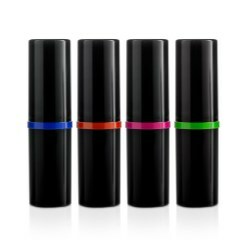 No longer a basic, low-tech option, the tube now boasts sophisticated features for the innovative application of cosmetics products. 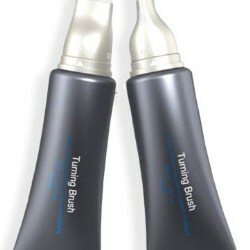 Yonwoo's new Turning Brush Tube is typical of this trend. Quadpack introduces a sophisticated new foamer that meets today’s demands for increased sustainability. The Eco Foamer uses a recycled PET (rPET) bottle sourced locally in Europe. This is combined with the superior performance of Apollo’s foam pumps. 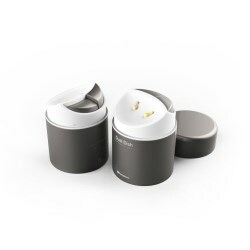 With high-end decoration options including colour matching and metallised collars, this product is especially suitable for luxury organic brands. Whether on your mobile phone or wrist, charms are currently all over the fashion world. So why not on your perfume bottle as well? 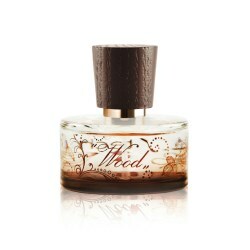 Spirit can develop beautiful charms that add style and help lift your fragrance out from the crowd. 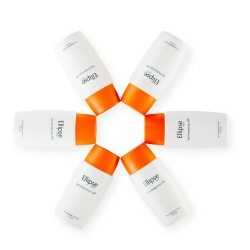 High-tech SPF formulas deserve advanced packaging concepts. 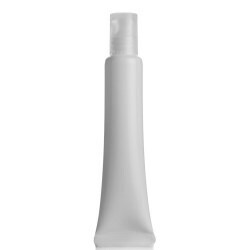 Enter the tottle – an attractive, practical solution for sunscreens. A layered composition can protect the formula inside, while its inherent ‘bounce-back’ flexibility means that every last drop can be squeezed out, an important selling point in today’s marketplace. There’s nothing like glorious sunshine to lift the spirits, warm the soul and give skin a healthy-looking tan. However, as cosmetics companies know, sun can spell ‘danger’ for skin. Quadpack’s sun care ranges can help deliver the formula in optimum condition. 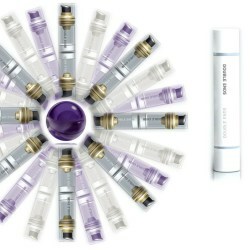 Personal skin care plans are all the rage, with anti-ageing serums at the heart of the treatment. 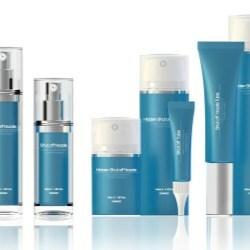 A new trend is now emerging that takes tailored skin care to the next level. While still in its infancy, France is leading the way with personalised formulations mixed in store or at home. And droppers provide the ideal delivery system. To foam or not to foam? Developed by Quadpack manufacturing partner Apollo using its patented technology, the Comb Foamer allows the user to easily spread the product over the desired area, with no mess involved. Pansticks are not just for foundation. With their easy twist-and-use functionality, pansticks are becoming increasingly popular for make-up, suncare, babycare and other OTC products. 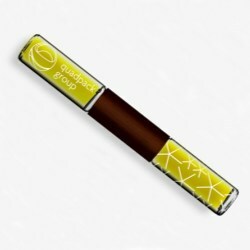 Quadpack pansticks are fully sealed to keep the product moist throughout its use. It’s just what consumers are asking for: a cosmetics pack that’s light, easy to use, fits in their handbag and contains everything they need. Yonwoo’s travel-friendly Duo Airless pack ticks all the boxes. 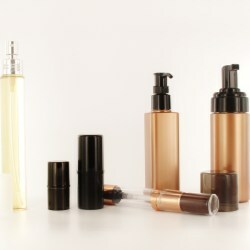 For cosmetics companies, too, as it offers strong formula protection, excellent product compatibility and easy filling. 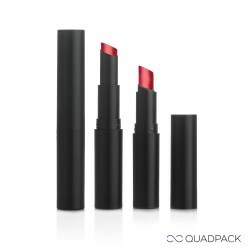 Quadpack has released a comprehensive collection of lipstick and panstick packs. 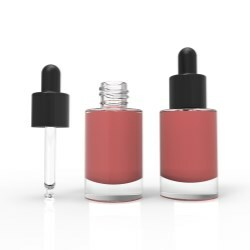 Glamorous, subtle, romantic - a wide range of formats is available to support a brand and enhance a consumer's experience when using a cosmetic product. Supermarkets, perfumery chains and high street retailers looking to launch their own skin care brand now have a competitive option in Premi’s Pure range. Exclusively available from Quadpack, the Pure range is Quadpack’s first offering specifically targeted at mass market skin care. The maxi look is back. When it comes to lashes, the bigger the better. Brivaplast packs help the volumizing action of mascara formulas and its latest offering, 1389, comes in a suitably big bottle. Hot on the heels of the twin chamber trend is Yonwoo's Twin Mix Airless. 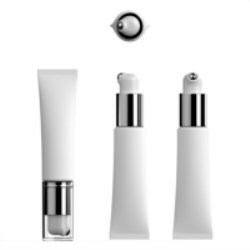 Now consumers can mix their skin treatment whenever they want, without hassle and in the correct dosage, all the while safeguarding formula integrity through Yonwoo's patented airless technology. Nothing engages consumers more than having the power to transform the product. 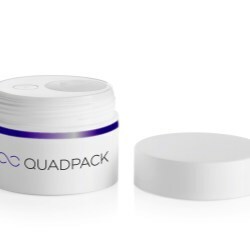 At the press of a button, Quadpack Twin Mix pack releases a powder into a serum, bringing the formula to life. A pipette dropper for local application further adds value to the pack. 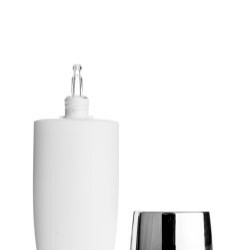 Yonwoo has reissued its Well Pump especially for nail polish removal. 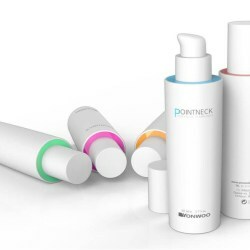 Based on the popular Well Pump introduced by Quadpack for toner and make-up remover products, the pack has been repurposed to resist the abrasive effects of acetone-based formulas. It’s called DIY beauty: consumers are demanding the option to enjoy spa treatments at home. 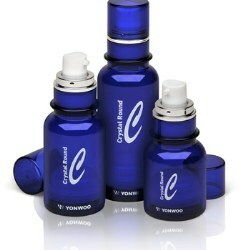 Yonwoo’s airless Ampoule Program offers an ideal delivery system that is smart, easy-to-use, refillable and travel-friendly. 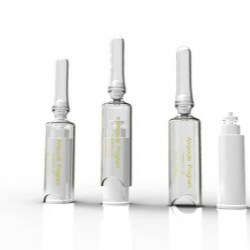 The Ampoule Program is a set of medical-looking vials that can be used for single or series of treatments, such as intensive serums, scalp treatments or anti-ageing skincare plans. 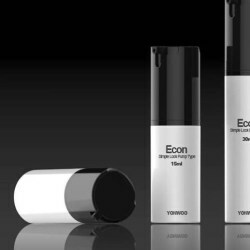 Cosmetic companies planning to launch a mass market skincare, make-up or OTC product should look to Yonwoo’s latest addition to its airless Econo line: the Yonwoo Simple Look. This low-cost pack offers multiple advantages, including easy filling, excellent compatibility and a high production output capability of up to 100,000 pieces a day. There’s nothing like foam for deep cleansing treatments, and Apollo’s Silicone Brush Pump from international cosmetic packaging provider Quadpack transforms formulas into luxurious, soft-textured foam, that spreads easily onto the skin by way of a smooth silicone applicator. Many of the new creams, gels, and oils available are sensitive formulas and need strong protection. 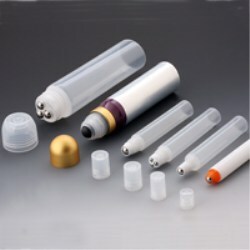 Some may even react with something as innocuous as air, and even the best airless containers on the market suffer from a degree of air re-entry through the nozzle. Until now. Quadpack now offers Yonwoo’s Airless Shut-Off Nozzle, which ensures that even advanced formulas will not lose effectiveness. The Apollo Oil Pump - exclusively available from Quadpack - is engineered to combat the effects of oil migration. Using special components, the pump resists oil-induced swelling to prevent leakage, keeping the pump and bottle clean and dry. No matter how advanced the formula, a mascara is only as good as the pack that delivers it. 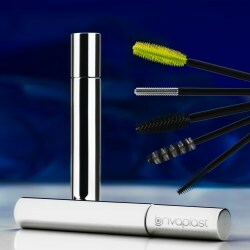 Brivaplast mascara packs, available from Quadpack, are engineered to make the formula work. No clumps, longer length, extra volume – Brivaplast’s high-tech design enables brand owners to deliver on their claims. 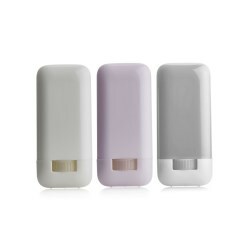 Paper Blow is Yonwoo’s eco-friendly 100ml airless pack that conforms to the four Rs, according to the company’s earth-friendly philosophy: Refill, Reuse, Reduce, Recycle. 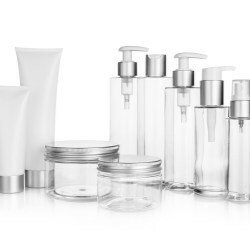 Following the success of Yonwoo's Soft Body range, Quadpack has introduced additional pack sizes to enable cosmetic companies to expand product lines. The Soft Body range features rounded, feminine curves and, where necessary, can offer all the protection of Yonwoo's patented airless technology. Creating your own foamer is child's play! Getting kids to wash their hands is always a challenge, but here's some good news: Quadpack has a way to help make them less averse to using soap. Apollo’s range of foamers can now be delivered with actuators customised to a brand. Using bespoke moulds, fun new shapes can be created to complement brands aimed at the child and baby care market. Make-up brands targeting fashion-conscious teens: check out Unit Pact! This neat little rectangle lets consumers build their own palette, by slotting together different colours. 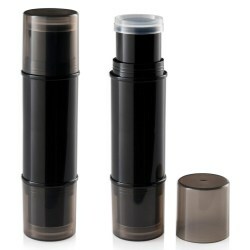 A complete, portable 3ml make-up kit can be assembled by combining lip balms, blusher and eye shadow. With optional aluminium godets, this fun DIY set is ideal for girls and young women who like to mix'n'match according to their moods. Consumer demand for environmentally-friendly products is increasing, particularly in the cosmetics sector. Cosmetics companies are responding with new organic ranges, but they do not need to stop there. Yonwoo’s Jumbo Natural takes eco-friendly one step further by offering a pack that’s more natural than ever. No matter how effective an airless container is, there is usually a degree of air contact inside the actuator. Now, Yonwoo has addressed this issue with a clever innovation: the Shut-Off Nozzle. Yonwoo’s Shut-Off Nozzle prevents air re-entry and bulk exit through the actuator of an airless container. 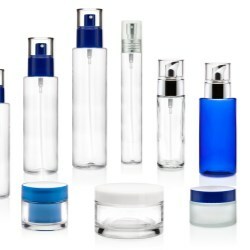 Cosmetics brands that need the protection of airless technology but prefer the aesthetics of glass now have the answer. 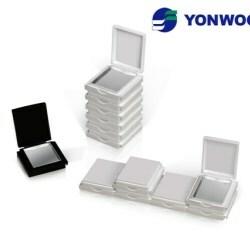 Quadpack has recently announced that it will be distributing Yonwoo’s Crystal Round range. Adding a new twist to the classic Boston Round, Crystal is made of PETG, but is constructed to look like glass. 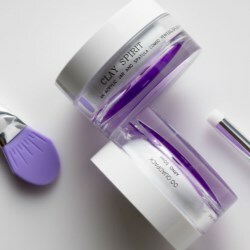 Spirit, a Quadpack Group company, has introduced a great new promotional item for cosmetic companies. 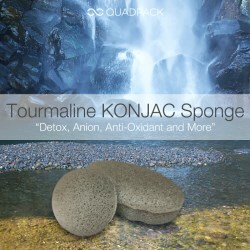 The Konjac Sponge is an all-natural product that cleanses and moisturizes skin with or without soap. Quadpack has recently presented Brivaplast’s new Artist line. This range of make-up brushes combines the performance of professional brushes with Brivaplast’s special bi-injected wiper. This patented technology ensures perfect dosage, avoids overflow and allows effortless closure after use. Quadpack is proud to introduce the Apollo Ultimate Foamer, the world's first foam pump designed with no metal parts in the product path. Apollo’s patented construction is engineered for optimum product stability. 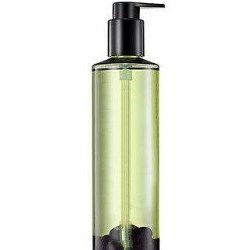 This makes it ideal for sensitive formulas including baby care lotions, facial cleansers and hair treatments. Sleek, slim and ultra-feminine. The 6.5ml Spot Pen brush is the latest pack in Yonwoo’s Spot Pen range. This range of airless pens is designed for precision dosage, at 0.15ml per stroke, and features an easy-to-use, lockable button to activate the flow of the product. 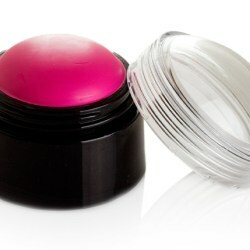 Finger Touch is Yonwoo’s latest airless container for the precise application of sensitive formulas. 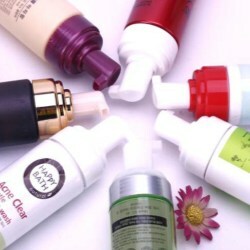 Using Finger Touch is akin to using one's own finger to apply facial skincare products. 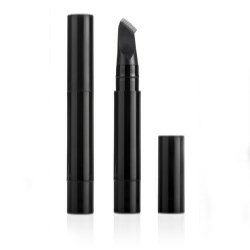 It features a flexible, finger-shaped applicator and ergonomic actuator, making it easy to apply the product to the delicate eye area. 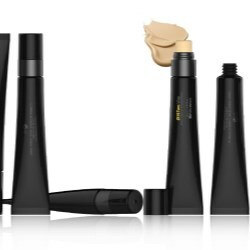 Yonwoo’s latest 2-in-1 Concealer packs add a touch of style to cosmetic products. 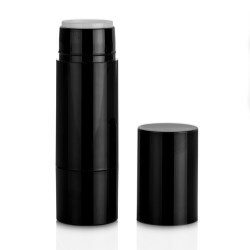 Available as either Jumbo jars or tubes, the Dual range is ideal for foundation with concealer or other two-part treatments. 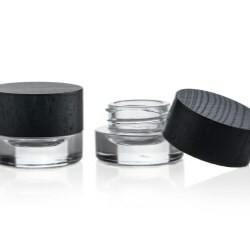 These innovative packs feature a flip-top cap with optional mirror, which doubles as a container. 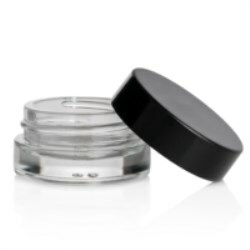 The cap snaps or screws off to open the jar or tube containing the bulk. 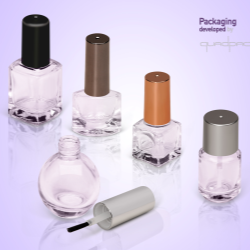 Glass headlines once again, as we proudly announce our comprehensive new range of glass nail polish bottles. 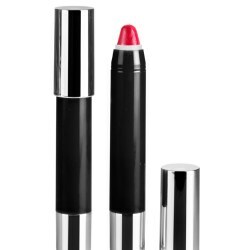 As part of our corporate drive into colour cosmetics, these nail polish bottles round out Quadpack's growing make-up selection, which already includes foundation pens, pan sticks, lipsticks, mascaras and facial cosmetic containers.